Arthroscopic surgery has revolutionized orthopedic surgery, and significantly improved the quality of surgical care available to our patients. It is particularly useful for recreational and sports injuries. 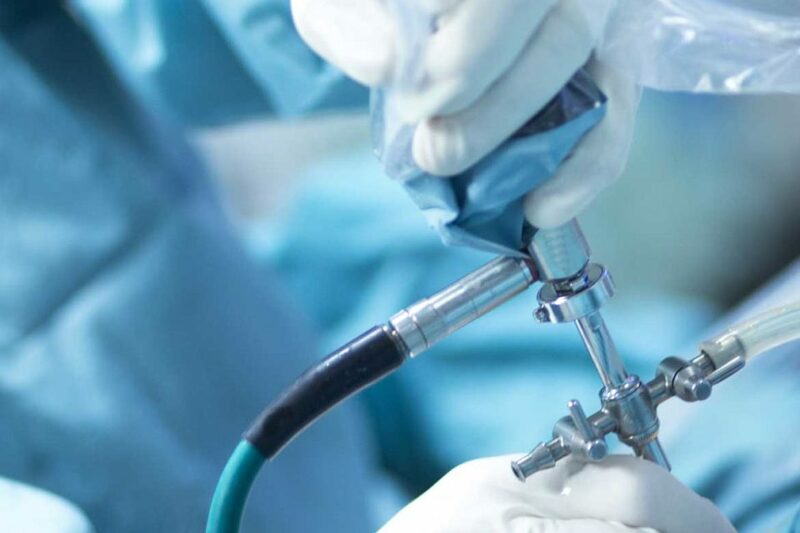 Arthroscopic procedures themselves are performed by inserting a tiny camera – or arthroscope – along with a lens and a light, through tiny incisions into an injured joint. This allows our surgeon to see what’s wrong and potentially fix the problem at the same time. The viewing end of the arthroscope accommodates attachments including a high intensity light source, to illuminate the interior of the joint, and a small lens which has a tiny camera that transmits pictures to a monitor in real time. The very nature of these devices allows our surgeon to see into tiny crevices and spaces which may not be as visible via traditional surgical procedures. Once the exact problem is diagnosed, our surgeon can determine if it is best corrected arthroscopically. Many conditions can be remedied, and the number often varies by which joint has been affected, including the knee, shoulder, elbow, hip, and ankle. Our surgeon may opt to discuss the diagnosis and treatment options with you, or correct the problem on the spot during the procedure. Depending on the problem and specific treatment, as well as the overall fitness of the person undergoing arthroscopy, the timeline for recovery may vary. Most procedures result in minimal post-operative discomfort, and we will provide instructions on keeping discomfort to a minimum. Usually, an exercise regimen or possibly physical therapy will begin within days of the arthroscopic procedure. The length of time it takes to return to an active lifestyle or to sports and recreational activity will vary, and we will answer your questions about what you will likely expect. Follow-up appointments will be made to assess your progress and to discuss important steps to make your recovery as full and timely as possible.